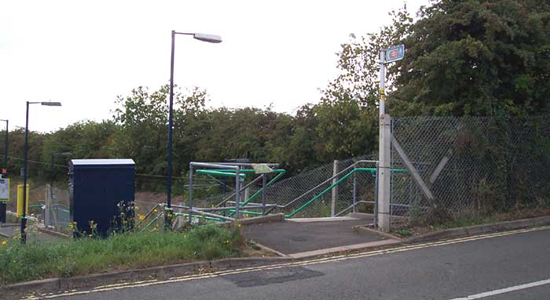 Above we see the less than inspiring entrance to Alvechurch Station from Station Road. The station opened in 1859 on the Midland Railway's 'Barnt Green to Ashchurch Branch'. 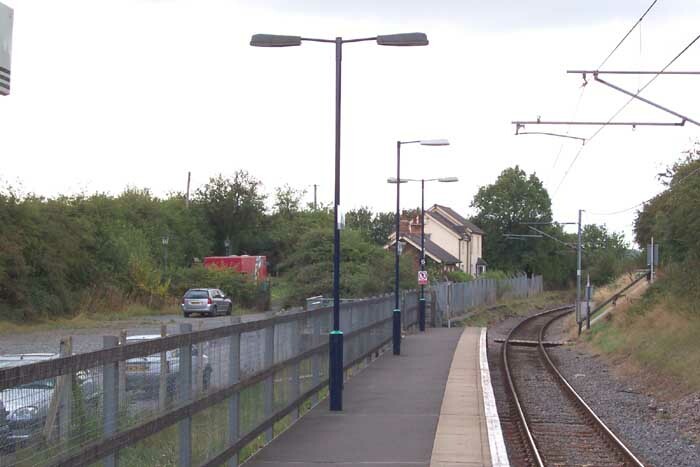 Shortly after leaving Barnt Green, the double-track becomes a single line and Alvechurch is now served by the half-hourly service between Lichfield Trent Valley and Redditch. The entrance to the station is quite missable and there are no station buildings at all: the station is an unstaffed halt. Above-left we are on the platform looking through the Station Road bridge towards Barnt Green. 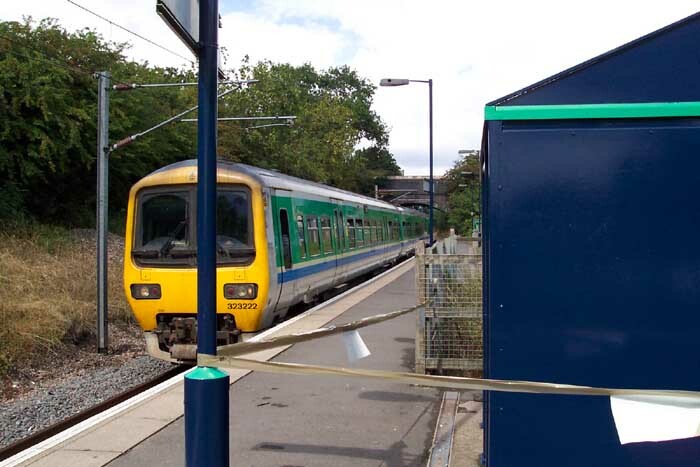 The sign on the left of the picture faces the base of the pedestrian entrance to the platform with the simple instruction that Redditch trains go to the left and Birmingham trains to the right - all you need to know on a single-track line really. Above-right we are in the same spot but looking towards Redditch. The nearest building in the distance was the original 'booking office' and the large white house was the Stationmaster's: the original platform being infront of these buildings. 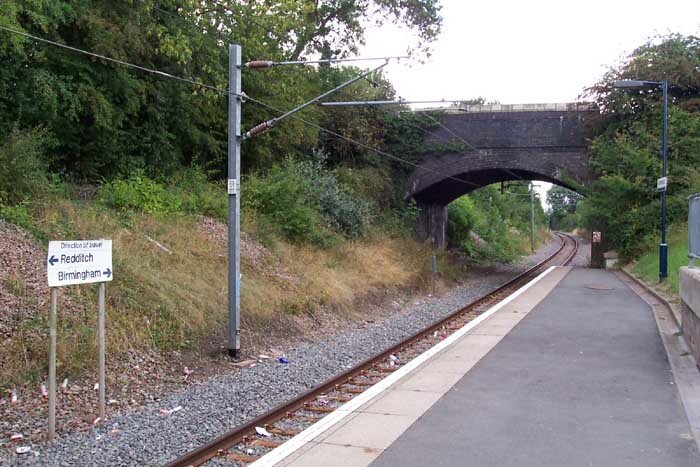 The current platform is on the site of a single goods siding which could take up to 10 wagons. Above-left we see 323222 bringing in a local working to Redditch from Barnt Green (note the total absence of passengers!). The platform does have a rather large shelter which, as can be seen, was taped-off on my visit as it had just been painted. Above-right we are looking towards Redditch with a better view of the old booking office and Stationmaster's house - you can see the crumbling platform to the left of the track where the edging stones have been cut-back. 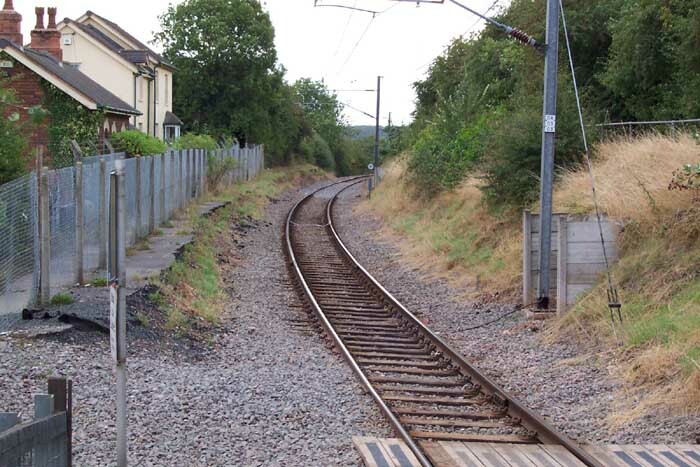 The 'barrow-crossing' at the end of the current platform in the immediate foreground used to lead to a ground frame for controlling access to the goods siding.